It was a tremendous year of blessings. We are so thankful for the support of all of you, our partners and sponsors. We were able to help the children of Haiti and their families in so many ways. Here are some of the Medical Outreach highlights of 2018. 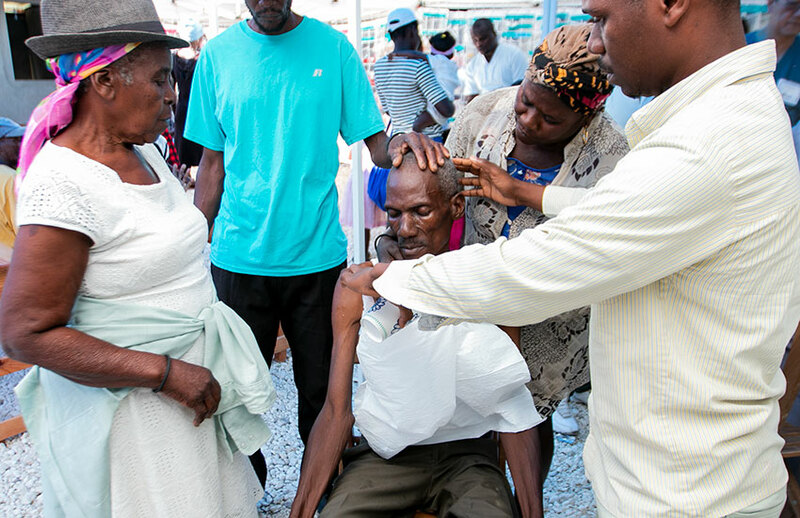 The people come from miles around, some walking for many hours to reach our Mobile Medical Clinics in the “regions beyond.” We were so blessed to bring our Medical Outreach to thousands of Haitians this year. 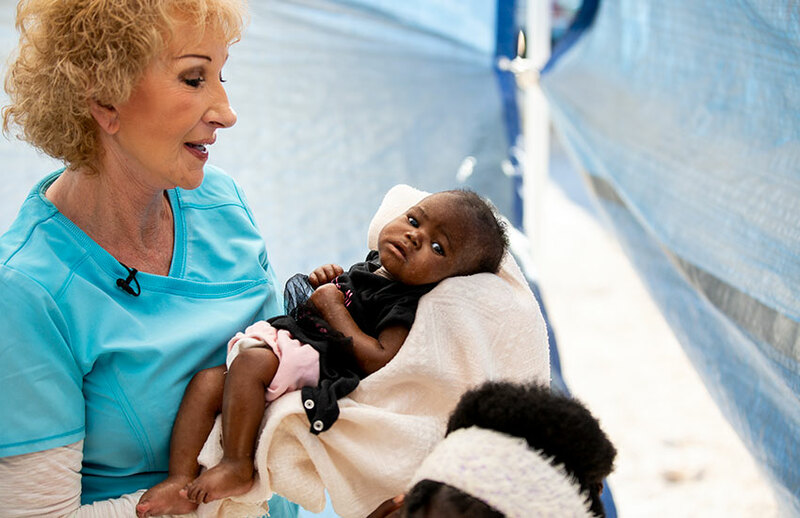 We brought our Mobile Medical Clinics to the villages of Peyi Pouri twice, Lastik with the team from Joyce Meyer Ministries — Hand of Hope, the Voodoo village of Chambrun, and the village of Savaan Pit. Our first visit to Peyi Pouri was the week of January 20th. It was a very tough trip… it took two months just to prepare all the medicines, and we stayed in tents. We heard the roads were impassable, but we had people working on the mountain path for two weeks prior to the clinic. It’s not like a road you would think about… it’s a mountain path! Our volunteer Mobile Medical Clinic team arrived, and we prepared the team for the clinic, and then we headed to Peyi Pouri for four days to treat hundreds of children and families. 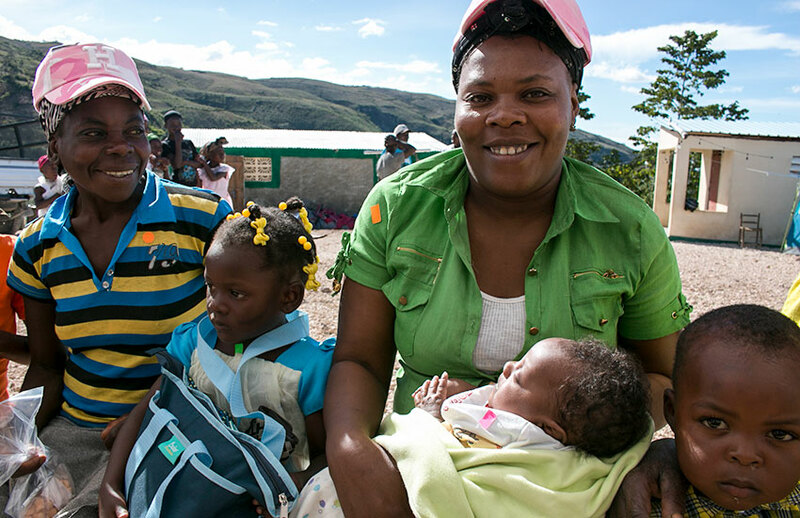 Hundreds of Haitians walked the entire night with babies in their arms to come to our Mobile Medical Clinic. 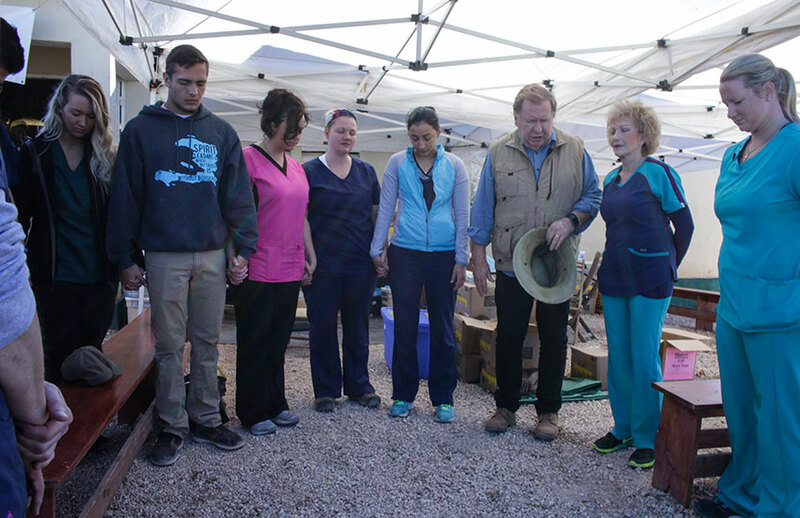 There was an area set up for consultations, a wound care area, a pharmacy, and a place to receive prayer before leaving. What a blessing this clinic was for the poor people of Peyi Pouri. 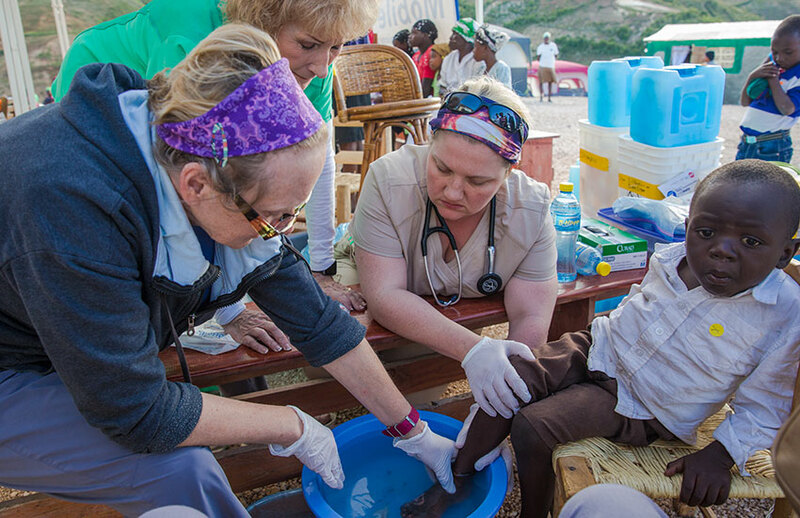 This Mobile Medical Clinic team provided the only medical care many of these people would ever receive. There are no doctors, nurses, or even an aspirin in this area. 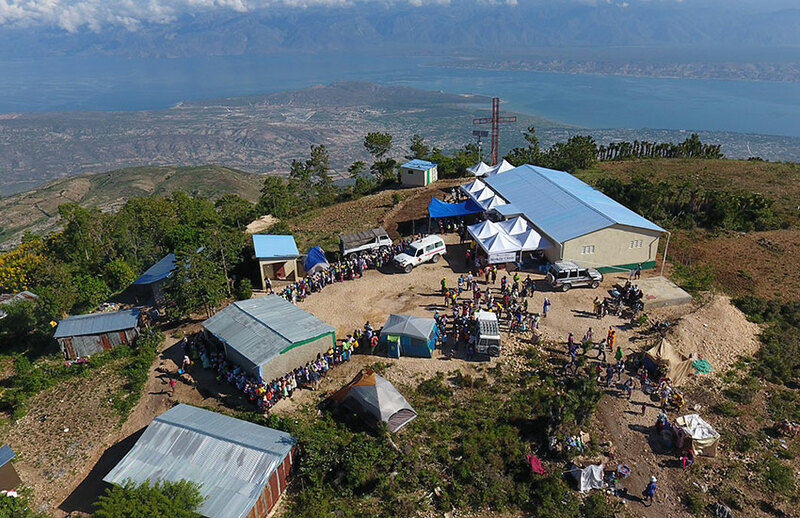 The team was on top of a mountain sleeping in tents and spending long hours treating the physical and spiritual needs of some of the poorest people in Haiti. 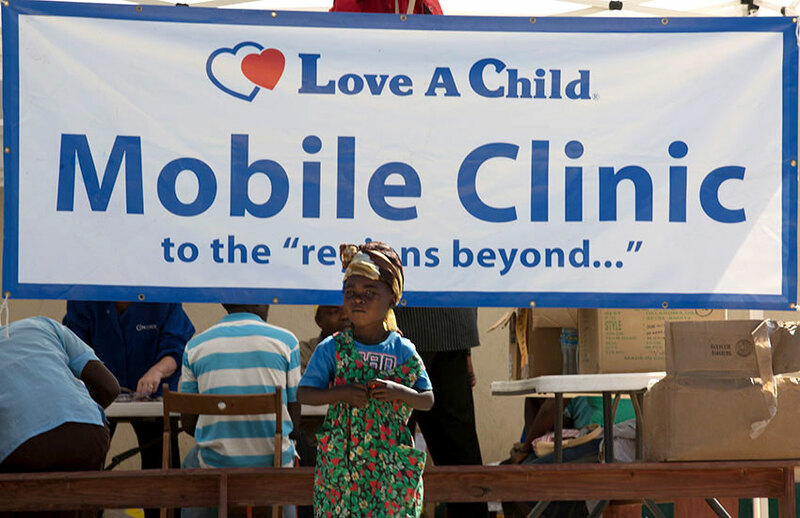 The Love A Child team had set up an entire medical facility in the middle of nowhere! 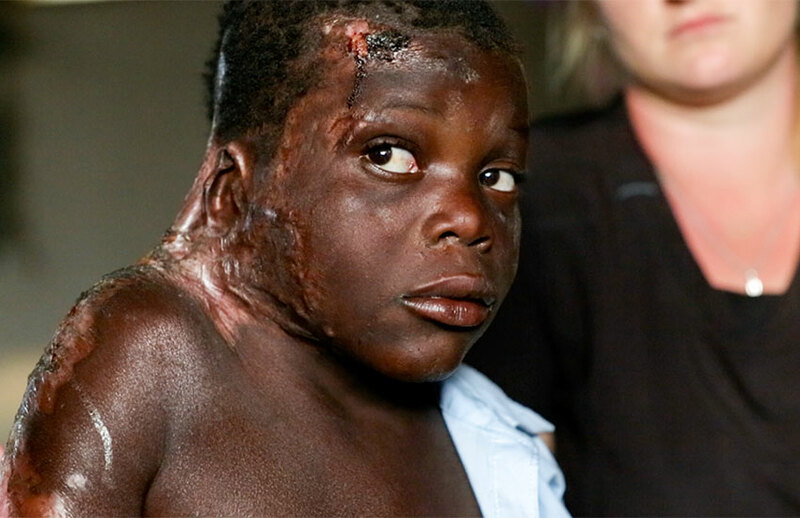 In the photo below, is a little boy named Mikensen, who had severe burns. He had fallen into a fire in September when he had a seizure. Mikensen’s mother took him to a “clinic” up in the mountains. The skin burns were still in bad shape when we saw him in January. His neck was in horrible condition, and he will need to have “releases” done by an American team in the future. There are so many accidents of children falling into cooking fires here in Haiti, as that is the main cooking method for the poor in the mountains. Over four days, we treated 1,870 people and distributed over 8,500 medications to those who came to the clinic. 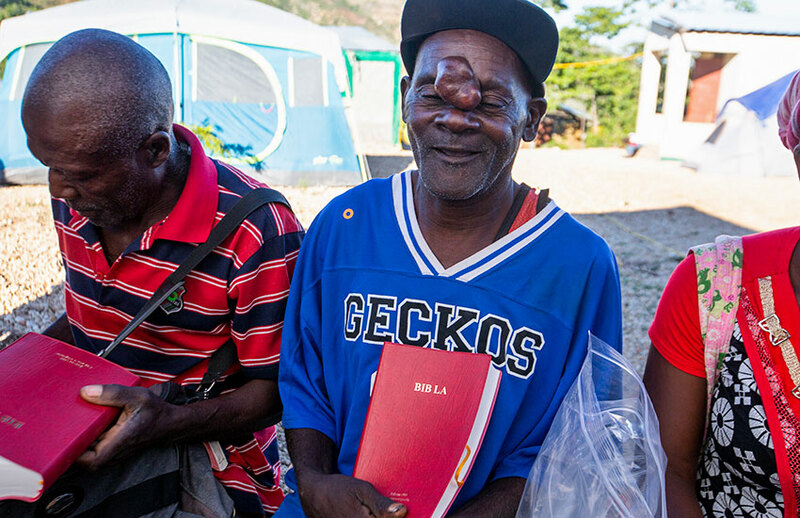 We saw over 80 people in wound care, gave eyeglasses to 168 people, and had 11 conversions to Christ! We really had a great team, which included three Haitian doctors. 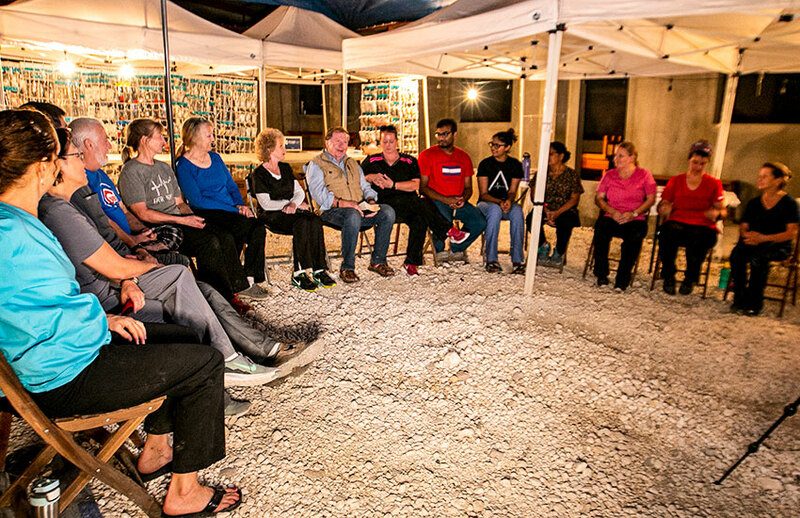 Our great volunteer team members who came to Haiti included Debbie Click, Travis Groves, Renelle Cancilla-Martin, Jessica Mowery, Brandon Hoyme, Becky Kalb, NP; Dr. Pat Webster, Dawn Watson, ARNP; Angelina Covington, RN; and Shawnacy McGuire! Thank you for all the wonderful work you did for the poor people of Peyi Pouri. This was an amazing Mobile Medical Clinic in the mountains of Peyi Pouri. 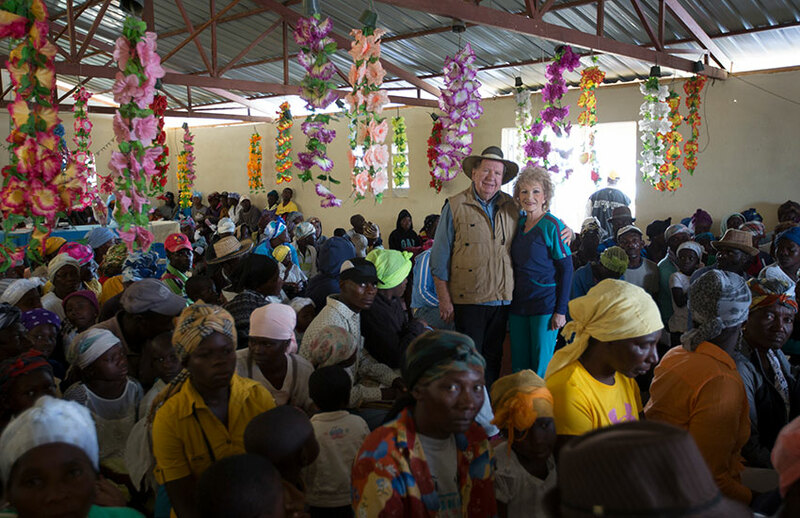 So many men, women, and children were treated… over 1,800! 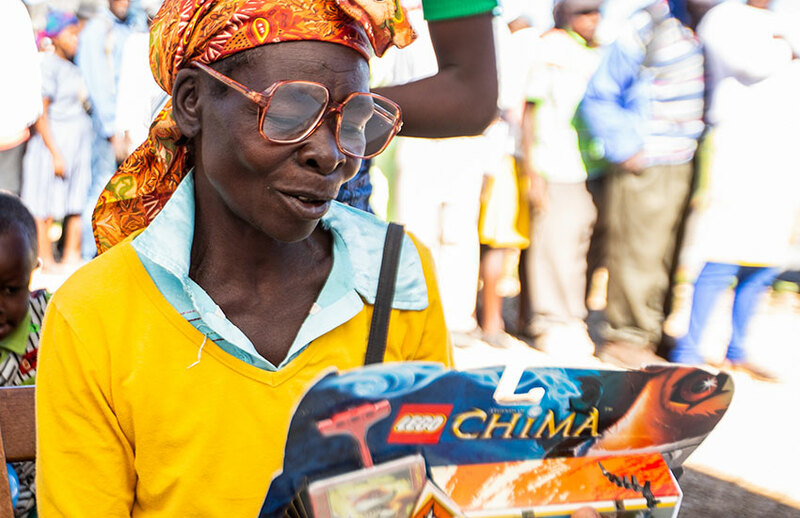 Many received eyeglasses and one elderly woman began to cry as she could see clearly through her glasses! We want to thank MAP International for their wonderful medicines and eyeglasses that they donated! 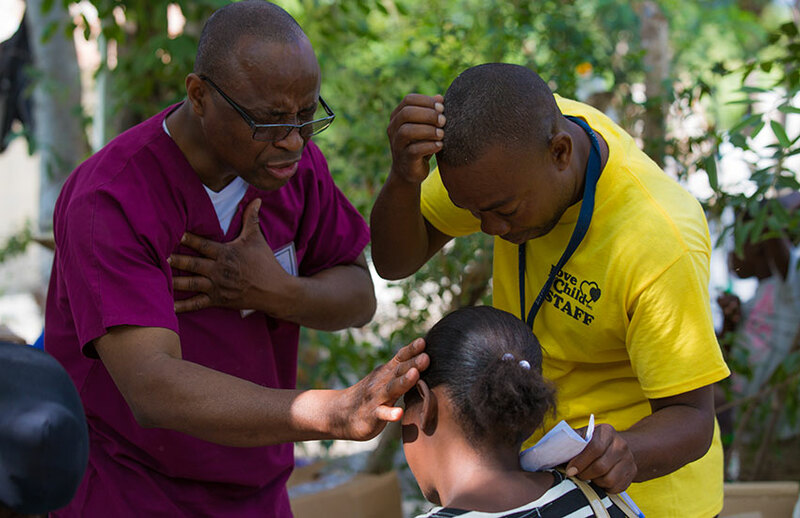 We were so thankful to have the Joyce Meyer Ministries — Hand of Hope Mobile Medical Clinic team with us in February. The day they arrived, they were hard at work packing medicines to go to the mountains of Lastik. The team saw over 2,000 patients, the dentist pulled over 800 teeth, and over 9,800 medications were given. Some of our older Love A Child children interpreted for the team members, and they were a great help! They had a couple of long, tough days in Lastik, but the Joyce Meyer Ministries – Hand of Hope team did a great job. They had 80 salvations too! The team also held a church service with our orphans. Thank you, Joyce Meyer Ministries – Hand of Hope for this wonderful team! Souls were saved, and they made a great impact! 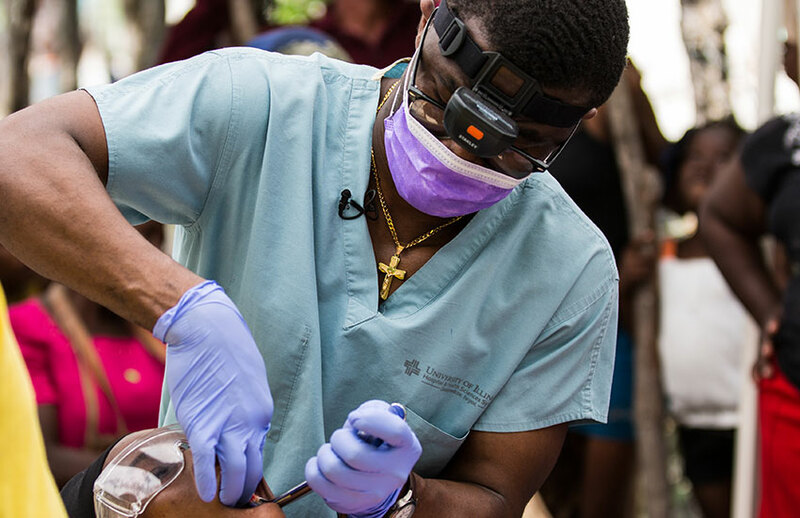 There is a lot of work that goes into taking a Mobile Medical Clinic to remote Voodoo villages. We believed in the Lord to send us where there was a great need, which brought us to Chambrun, a large Voodoo village. We had already met with the leader, who is also the main “houngan” (witch doctor), and a political leader. We had the opportunity of helping these people and prayed for them. A Mobile Medical Clinic is one of the best ways to win people to the Lord, and care for them at the same time. The Mobile Medical Clinic team that went to Chambrun was such a sweet team, and most have a Nigerian background. When they were working, eating, praying, or whatever… they were always singing!!! They were a great group to send to the Voodoo village of Chambrun! The devil won’t know “what hit him!” The dental team saw many patients in desperate need of dental care. Many teeth were pulled! This was our second Mobile Medical Clinic in this village. This time, we had great results because of the hard work we had already done. We saw over 1,000 people in the village of Chambrun and had many decisions for Christ. The elderly father of the present witch doctor asked us for a Bible. He said that his father and his father’s father had all been witch doctors… four generations of them. But they have now “heard the Gospel!” Special thanks to MAP International for all their wonderful medications and eyeglasses, and also thanks to International Aid. It took a large box truck for all our medicines and equipment to reach the clinic site. We also gave a Joyce Meyer Ministries booklet to each person who came to the clinic. Special thanks to all the doctors, dentists, other medical personnel and all the others who made this a great success!! Those working in the “Gospel Tent” ministered long hours with “no break,” PRAYING FOR EACH PERSON INDIVIDUALLY! Thank you all so much and thank you, partners! Blessings. 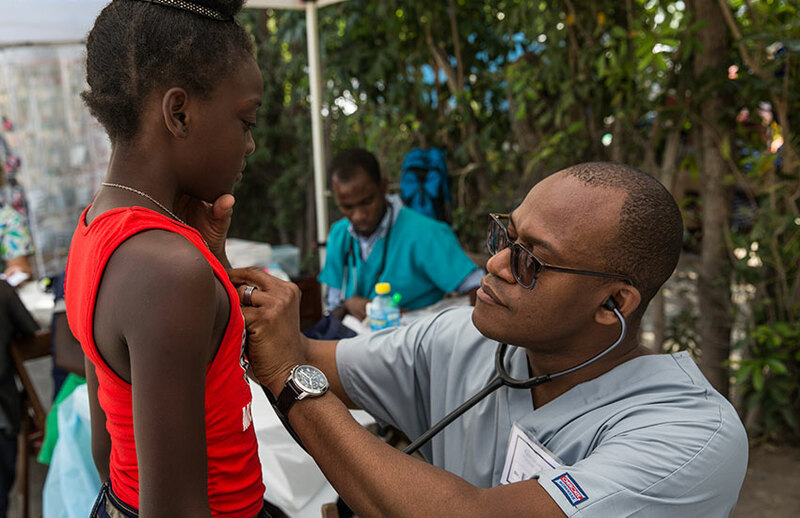 We held a second three-day Mobile Medical Clinic in the mountain village of Peyi Pouri, in some of the highest mountains in Haiti. This was a huge undertaking as we sent six truckloads of supplies up there. Due to a lot of rain in the region washing out many of the roads, along with the riots and manifestations, we had to switch from our original plan and go to a different village. We ended up changing plans five times and ended up in Peyi Pouri. Our team put up individual tents for the doctors, pharmacy, wound care, eye care, ministry, and additional tents for sleeping and food. We also sent two of our Love A Child Children’s Home girls ahead to help with dossiers and do vitals. We were in the “regions beyond” making a difference in the lives of the poorest of the poor. 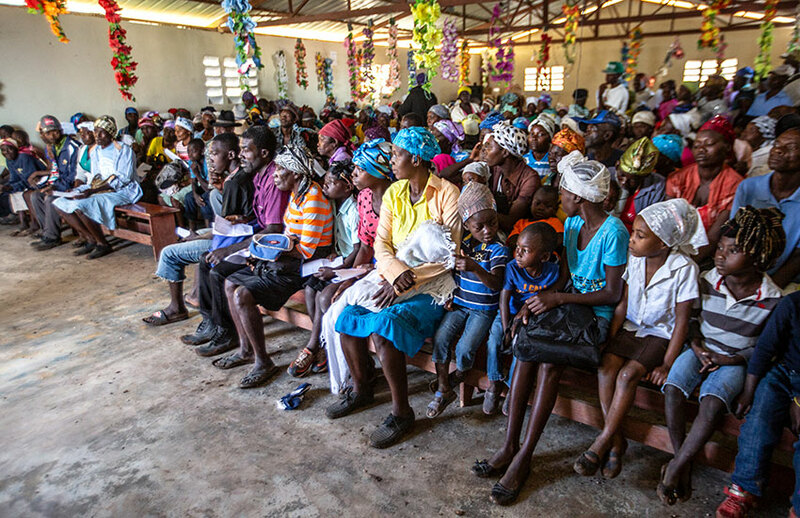 Thousands of poor Haitians came to Peyi Pouri seeking medical care. Many of them live in Peyi Pouri, but some walked for hours to visit the Love A Child Mobile Medical Clinic. 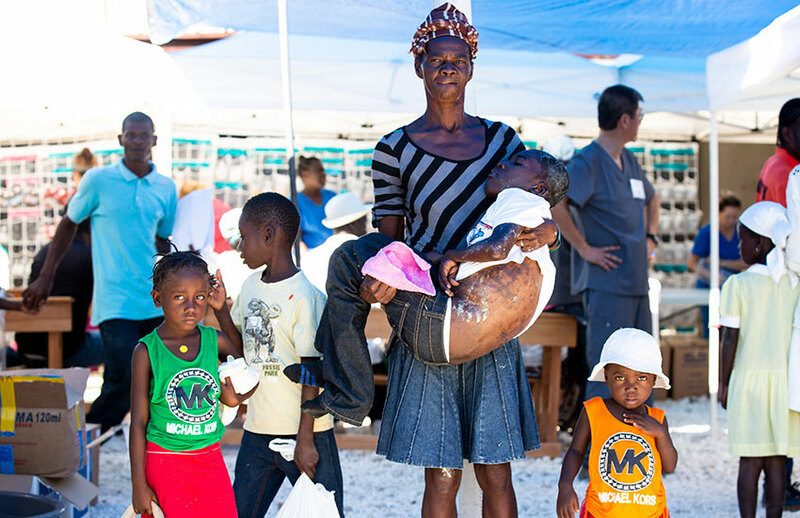 We gave wound care treatment to many of them, including lots of children. We served over 3,000 people. God bless the volunteers who came from America and our Haitian staff, including Jovanie. Jovanie grew up in our Love A Child Children’s Home, and graduated from nursing school in September. We could not be more proud of her! The team treated thousands of patients and gave out medications to help with the many ailments of these poor people. Many of the elderly had their eyes checked and were given eyeglasses. 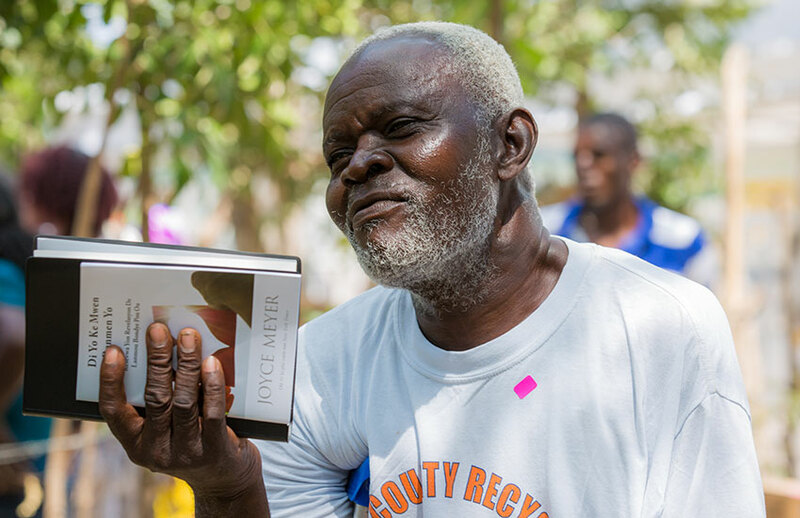 The wonderful team of volunteers shared the light of Christ, and many Haitians accepted Jesus. Those who received Jesus also got Bibles! This is LOVE in action! 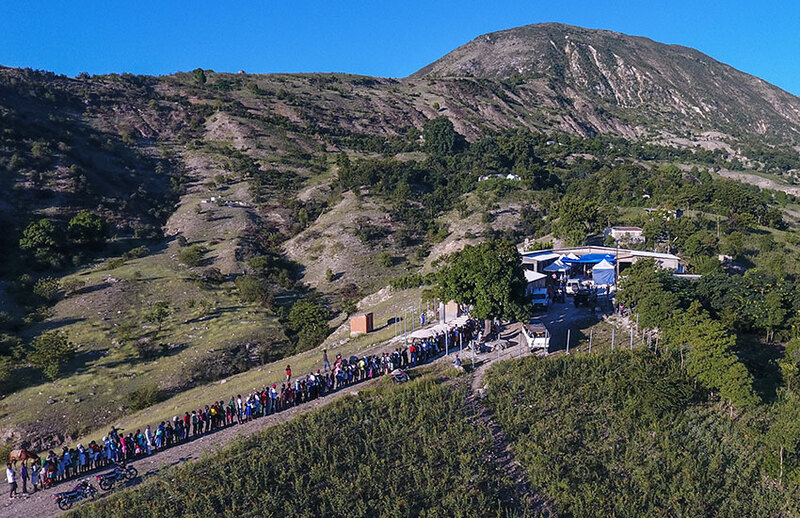 The last Mobile Medical Clinic of the year was in the remote village of Savaan Pit, deep in the mountains of Haiti. We traveled through very rough terrain for four hours. The dirt and rock roads are treacherous, and are steep and wind through the mountains. 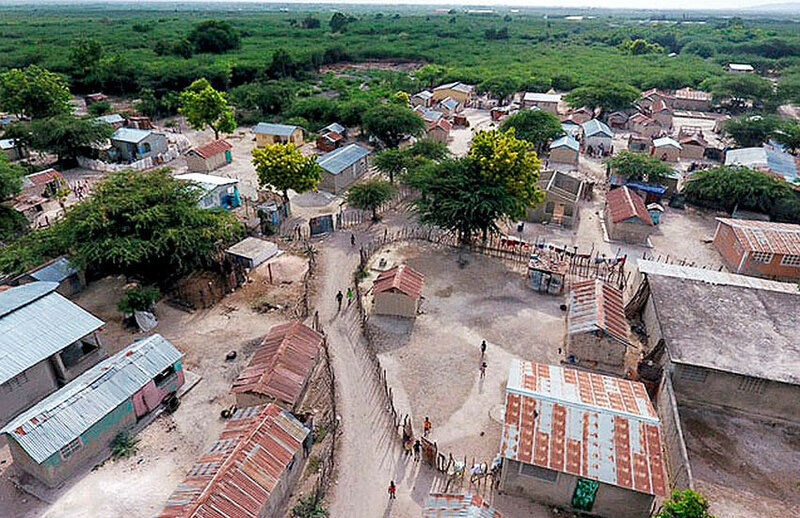 We are working to spread the word of God, and show the love of Jesus by example ministering to the “poorest of the poor” here in Haiti. It was one of the best Mobile Medical Clinics we’ve had, even though we had to “change locations” at the last minute. There were over a thousand poor people, children, and babies who came from all over the mountains in this area, with no advertisement at all! We had several very bad cases of severe malnutrition in babies and young children. This sick child had Kwashiorkor malnutrition, as you can see by the swollen limbs and puffy face. Kwashiorkor malnutrition is a debilitating and life-threatening condition caused by a lack of protein in the diet. We saw people in wound care that had dog bites, pig bites, and even one person who had been gored by a cow horn! Our Mobile Medical Clinics are so important for the “poorest of the poor” in the mountains of Haiti. 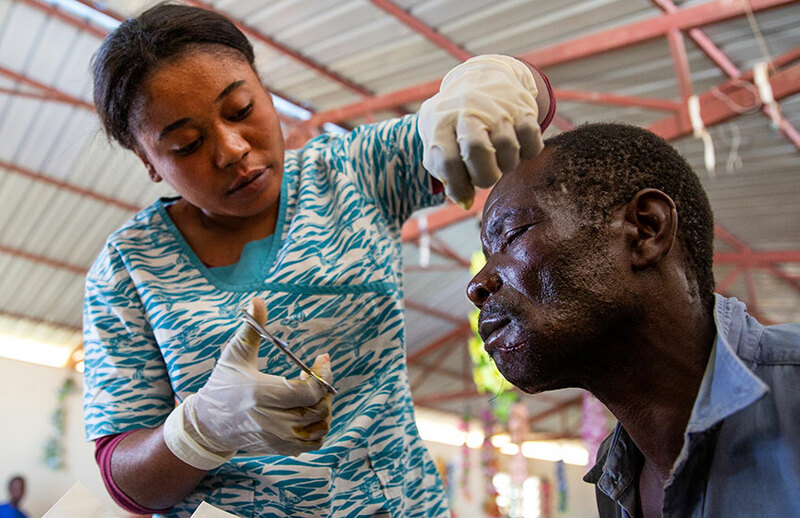 Many Haitians have nowhere to turn to when seeking medical care. Many people would die here if it were not for our clinics. God bless our partners who helped sponsor this clinic! In just three days, we saw over 2,500 patients, gave out over 1,200 medications and had over 80 people receive salvation. 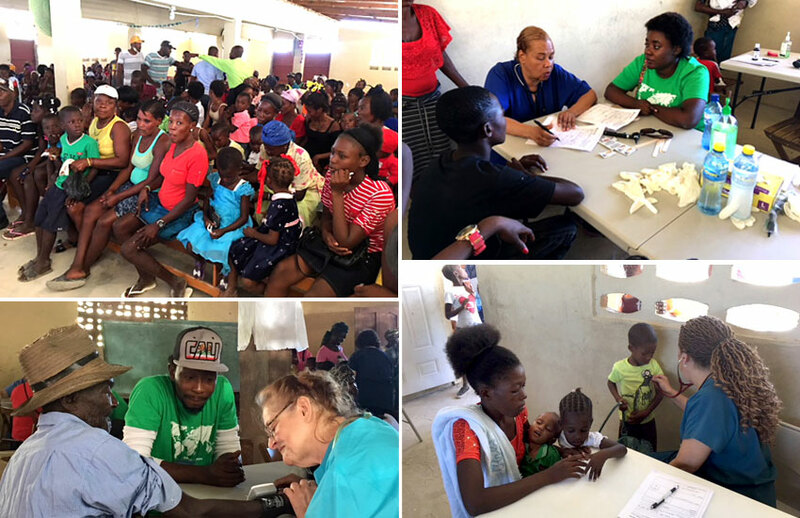 Special thanks to those who supported all of our clinics, and to our great team members from the States along with our wonderful Haitian team!!! Great job everyone, for the Kingdom of God! Thank you partners for helping change lives in Haiti every day. Please, hear the “cry of the poor,” and “do something” today. And when you do, God will bless you for “considering the poor!” (Psalm 41:1-3) If you would like to speak directly to one of our staff members, please call (239) 210-6107 or email us at info@lachaiti.org. We look forward to 2019 and seeing all that God has intended for Love A Child. Thank you to our partners and sponsors who made all this happen in Haiti in 2018. Look for my next journal of the 2018 Year in Review – Medical Outreach – Part 2 to see all the things we have done with your help. God did so many great things that we want to share with all of you.